Costas our host was very friendly and helpful. The furniture was tasteful. The bedrooms were big and welcoming. Very comfortable beds and clean bathrooms and sheets. Ac worked perfectly. We had water in the fridge always. The terraces and the view from the suite were just stunning. המארחים היו נפלאים עזרו לנו בכל בקשה להתמצאות האי. ארוחת הבוקר הייתה עשירה מפנקת והוגשה לנו לחדר בשעה שביקשנו. הסוויטה הייתה מאובזרת בכל הציוד הנדרש ואף מעבר לכך. Ottima posizione con vista mozza fiato, camera ampia e bene arredata con una terrazza favolosa. La gentilezza e la cordialità di Kostas rendono ancora più unico questo angolo di Paradiso che è sicuramente da consigliare. 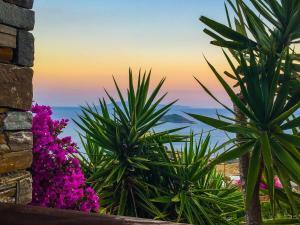 Manzara muhteşemdi, çok temiz ve düzenliydi. İyi dekore edilmişti. Kahvaltı lezizdi. La bellissima vista dalla spaziosa terrazza. La pulizia della camera. La gentilezza dello staff. La qualità della colazione. il fatto di avere sempre a disposizone asciugamani nuovi e puliti. la comodità del letto. le bevande gratutite di cui era sempre rifornito il frigorifero. 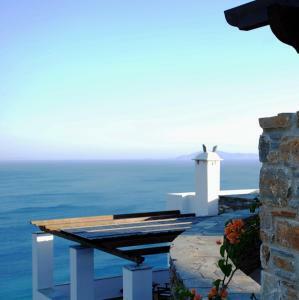 Lock in a great price for Andros Prive Suites – rated 9.4 by recent guests! 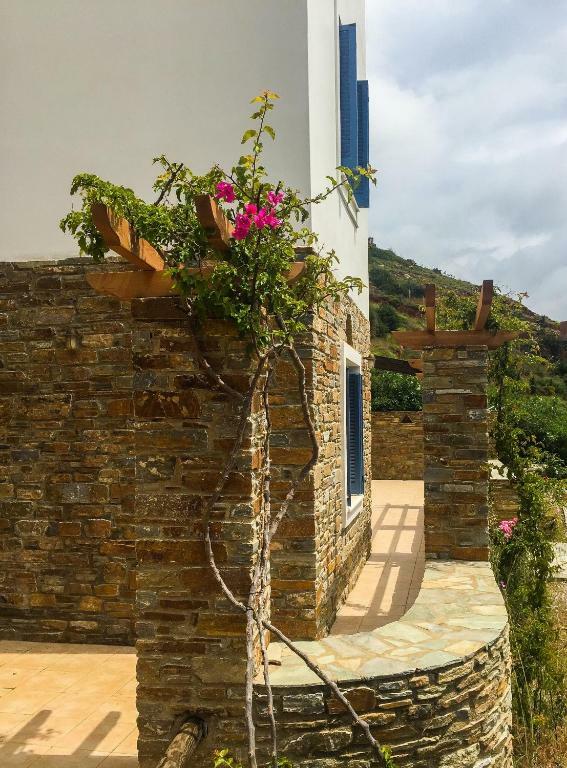 Situated on a hill above Kypri village in Andros, in a village-style 4,000-m² area, this stone-built property features panoramic views of the Aegean Sea and the Cycladic landscape. 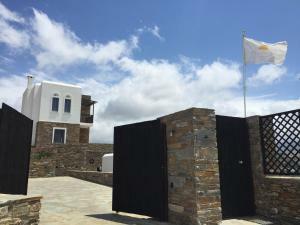 Andros Prive Suites include a fireplace and hot tub. 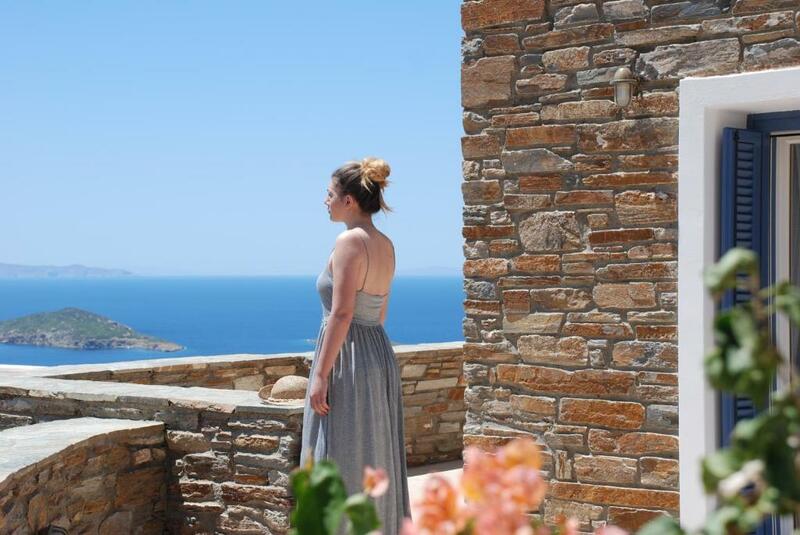 All suites at the Prive Suites Andros have a furnished veranda with views of Gavrio Bay and Gavrionisia Islands. The air-conditioned unit includes an LCD TV with a DVD player, iPhone docking station and a mini fridge. A welcome wine bottle is also offered. 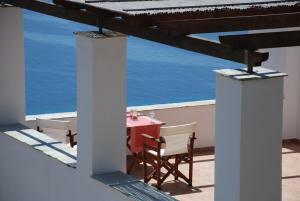 Guests can have breakfast with homemade products like sweets and pies, on their private terrace. Drinks, light meals and traditional ouzo are served at the outdoor bar. Free WiFi is available throughout. Staff at the 24-hour front desk can arrange car rentals. Every suite is allocated one space in the indoor private parking. 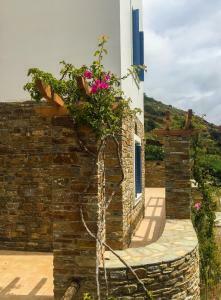 The property is within a 10-minute walk from the beaches of Agios Petros, Kypri and Plakoures. The cosmopolitan village of Batsi is less than 2.5 miles away. 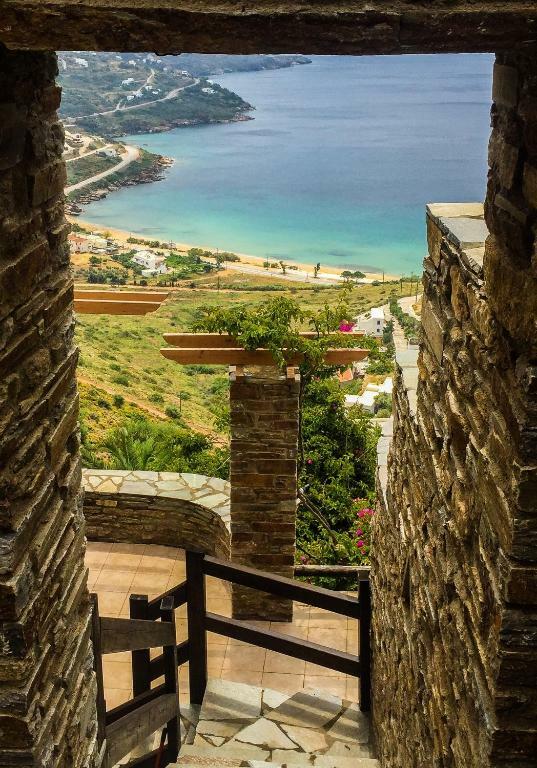 Gavrio Port is 2.2 miles away and the scenic town of Andros is at 18 miles. When would you like to stay at Andros Prive Suites? Andros \Prive Suites was designed and build in accordance to Cycladic architecture using local materials including stone, white plaster and wood which is the main materials used by the local craftmen. The main focus was to provide large, spacious and comfortable rooms to our guests and private vistas to relax and enjoy the open long ocean views and the surrounding scenery. We are an adults only hotel for couples and families with children 14 years old and above. We offer a full package of services, amenities and security including on site secure parking, concierge, room service, breakfast suitable to our guests special dietary needs, satelite programs LED flat tvs, free wifi, entertaining systems and many other bit and pieces to make our guests feel like home. Me and my wife after many years of work and traveling around the world decided to purse our dream and create an accommodation suitable to those who stress to their limits during their regular days and need a vacation place to fully discharge and re energised enjoying the serene, unique and private ambience of Andros Prive Suites supplemnted with our pampering services and lots of amenities to make them feel at home. 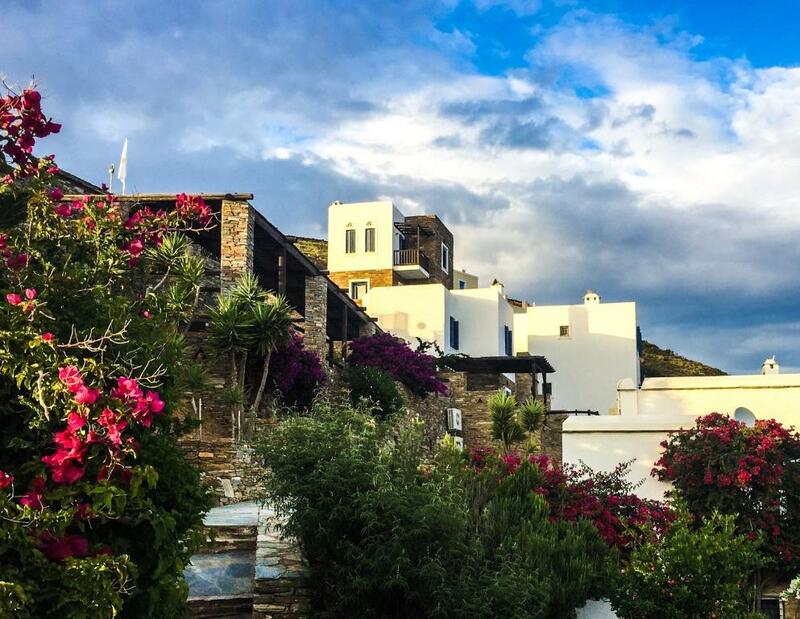 Our accommodation is situated in the heart of the most vibrant summer holidays spot of Andros island. Very close to the port, on the hill over the Kypri beach, the Golden sand beach and the St Peter beach, very close to the picturesque village of Batsi it is a quiet and unique boutique hotel and at the same time our guests may travel within five to ten minutes to the cafes, restaurants and night clubs at the near by villages of Gavrio, St Peter and Batsi. House Rules Andros Prive Suites takes special requests – add in the next step! Andros Prive Suites accepts these cards and reserves the right to temporarily hold an amount prior to arrival. Please note that children under 14 cannot be accommodated. The access was very steeped for the car and since the automatic doors had a very slow mechanism it was quite uncomfortable to park every day. The house should have more kitchen hardware in case one wants to stay home and grill a steak, fry an egg or prepare a salad. I am not sure there was a washing machine (for longer stays). Internet quite slow but working.